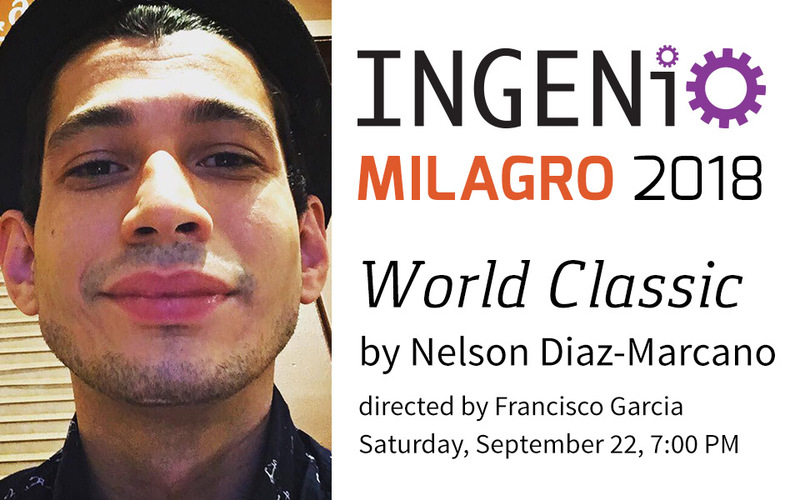 INGENIO Milagro returns for a second year, providing four Latino/a playwrights an experienced and nurturing laboratory for the development of their new work. 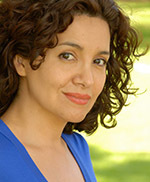 Milagro’s commitment to new work and the development of Latino/a artists in all disciplines is what lead to the creation of this unique program, the purpose of which is to give playwrights an opportunity to work on their plays, and for audiences to experience them at the development stages. The week of rehearsals culminates in concert-style readings of the plays, as well as a workshop for INGENIO and local playwrights. 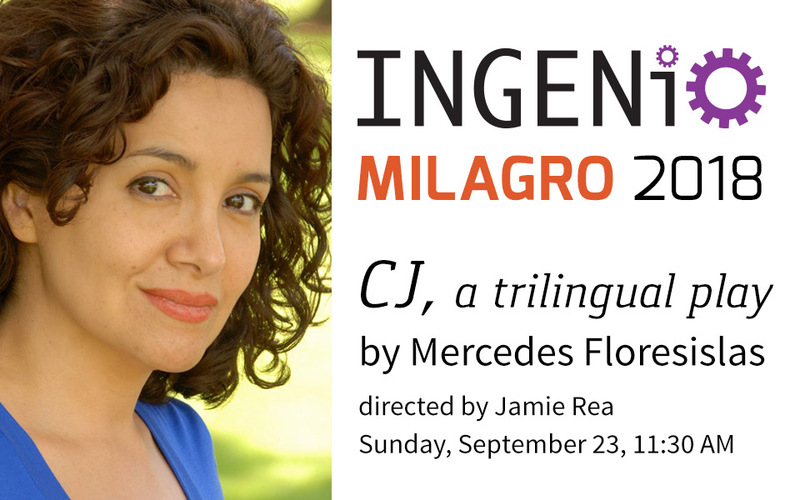 All INGENIO readings are general admission, presented free to the public. Reservations are encouraged but not required. FREE. Open to all, space is limited. Led by this year's guest dramaturg, playwight Diana Burbano, this workshop focuses on writing plays and monologues from personal stories that expand to comment on larger social/political issues. This workshop will encourage the writing of issue based plays, balanced by a sense of empathy and humor. 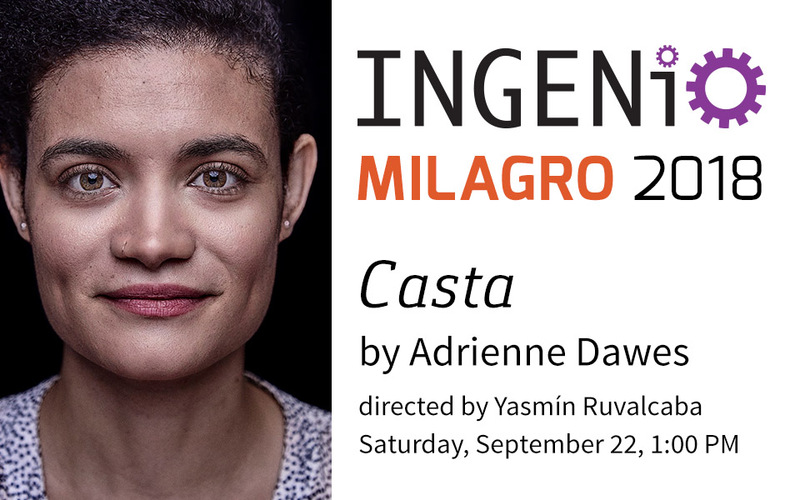 Casta (working title) is inspired by a series of casta paintings by Miguel Cabrera, a mixed-race painter from Oaxaca. Casta paintings were a unique form of portraiture that grew in popularity over the 18th century in Nueva España that depicted different racial mixtures arranged according to a hierarchy defined by Spanish elites. When a lowly apprentice is commissioned to paint a casta series for a wealthy patron, he tries to conform his work to a set hierarchy but finds the images revolt, illuminating a complex portrait of fluid Latinx identities. Casta is supported in part by the National Association of Latino Arts and Cultures, the Andrew W. Mellon Foundation, the Ford Foundation, Southwest Airlines, and the Surdna Foundation through a grant from the NALAC Fund for the Arts Grant Program. As a family prepares to watch the final game of the World Baseball Classic between the Puerto Rican and the United States national teams, a past tragedy rear its ugly head and threatens to tear apart their bond. Exploring both the connection and identity issues created by clashing generations of immigrants, this play is a study on what it is to feel like a foreigner in your own country and what each generation calls home. 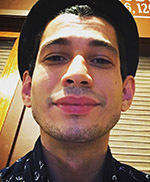 Brian Otaño grew up in Brooklyn, NY, where he worked as a playwright and a scenic artist at the Metropolitan Opera for nine years before moving to LA. Most recently, he co-wrote You Across From Me, the 2018 Humana Festival PTC show. Other plays include Tara, Zero Feet Away, and The Dooley Street Trilogy. His work has been performed, developed and workshopped with NYTW, Roundabout Theatre Company, Page 73, Ars Nova, Atlantic Theater Company, New Dramatists, INTAR, LAByrinth, LARK Play Development Center, The Amoralists, The Attic Theater Company, Judson Memorial Church and SPACE on Ryder Farm. Residencies/Fellowships: NHMC TV Writers Fellowship, Page 73’s Interstate 73 Writers Group, New York Theater Workshop 2050 Fellowship, New Dramatists Van Lier Fellowship, ArsNova’s Playgroup. Education: BFA, Dramatic Writing (SUNY Purchase). An investigation into a teacher accused of sexual abuse lands at the door of 30-year-old Ricky Ramos, who is named as the teacher’s first victim. 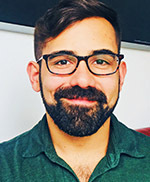 The details of the investigation unfold, challenging Ricky’s skewed perspective of his role in the relationship and casting a damning light on a culture mired in silence and homophobia. When Ricky lures his teacher to his family vacation home in Puerto Rico with hopes of finding some answers and clarity, Ricky’s mother and daughter learn the truth about Ricky’s relationship. A tense, bloody confrontation ensues, compelling the family to contend with their past, while looking ahead to a future that might have a glimmer of hope. 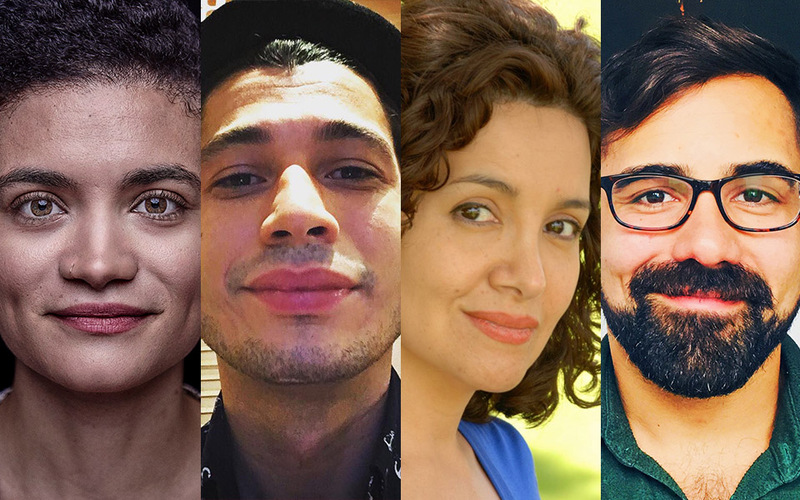 Beginning with a national call for submissions, four unproduced plays by Latino/a playwrights are selected to take part in INGENIO. Each play is assigned a director and cast, and after a week of rehearsals the plays will be presented in concert-style readings to an audience followed by moderated feedback conversations. As in the first year, a key feature of INGENIO is the participation of an established Latino/a theatre artist to serve as host and mentor during the September play festival and feedback sessions. 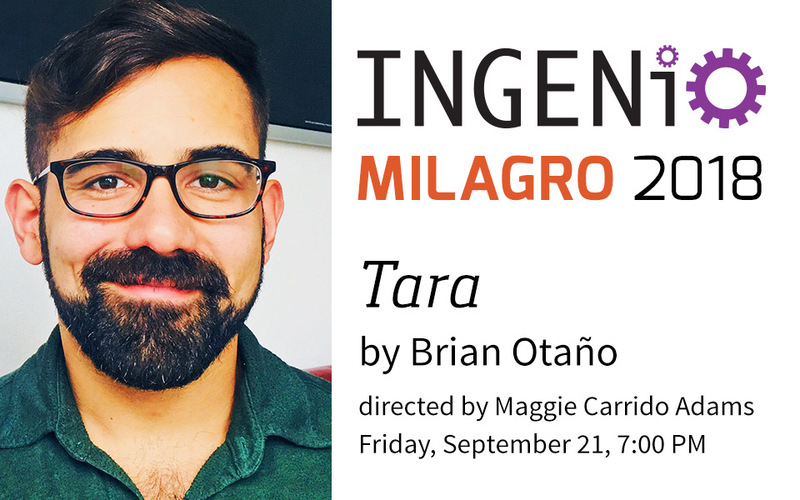 This year's host mentor, Diana Burbano, will be in residence at Milagro for the week leading up to INGENIO, working with and mentoring the playwrights and participating in rehearsals with directors and casts. 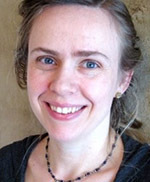 Diana will also teach a Writing for Justice workshop, free and open to all in the community. New in 2018, Milagro will collaborate with Northwest Theatre Workshop (NWTW) to offer workshops to the INGENIO playwrights. Ciji Guerin, Producing Artistic Director of NWTW, will lead two workshops, which are designed to offer new tools to further develop their work. 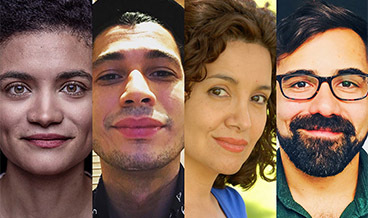 INGENIO Milagro 2018 Selection Committee: Roy Antonio Arauz, Diana Burbano, Georgina Escobar, Francisco García, Daniel Jáquez, and Maya Malán-González. Ingenio /ēn 'he nē oh/: Spanish for wit, ingenuity; the inventive and creative capacity to create; a sugar cane refinery. 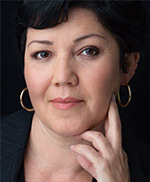 Diana Burbano is a Colombian immigrant, an Equity actor, a playwright, and a teaching artist at South Coast Repertory and Breath of Fire Latina Theatre Ensemble. Diana’s plays focus on female protagonists and social issues. Work: Policarpa (Finalist Bay Area Playwrights Festival, Oregon Shakespeare Festival Brown Swan lab 2017), Fabulous Monsters (Latinx Play Festival, San Diego Rep 2017), Caliban’s Island (2017 Headwaters New Play Festival), Enemy|Flint April 2018 at Rio Hondo College, and Linda, (English and Spanish), which has been seen all over the world. 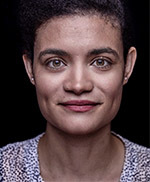 She was the 2018 playwright in residence for Marfa Live Arts in Marfa, TX. 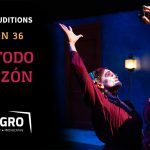 INGENIO Milagro 2018 is supported by the National New Play Network’s (NNPN) Collaboration Fund. The Collaboration Fund supports innovative partnerships that explore the many different ways theater companies can work, both together and with playwrights, on the development of a new work. Programs such as INGENIO increase diversity in the playwriting field by giving opportunity to underrepresented voices. NNPN’s support allows Milagro to invite the playwrights to Portland for the week prior to the Play Fest to participate in rehearsals and workshops. In addition, it assists with the costs of producing the festival. National New Play Network (NNPN) is an alliance of professional theaters that collaborate in innovative ways to develop, produce, and extend the life of new plays. Founded in 1998, NNPN continues to revolutionize the new play landscape through the strength of its member theaters, collaborative efforts, and its nationally recognized programs and services for artists and organizations.